When I was a little kid, I was told that America was the "melting pot." I learned this during discussions of "diversity" in elementary school, discussions made somewhat abstract by the lack of racial, religious, and even most socioeconomic diversity in my own tiny, rural Midwestern hometown. The idea sounded so appealing to me as a kid, though. Look at America, bringing together so many different types of people and blending them into something strong and beautiful. 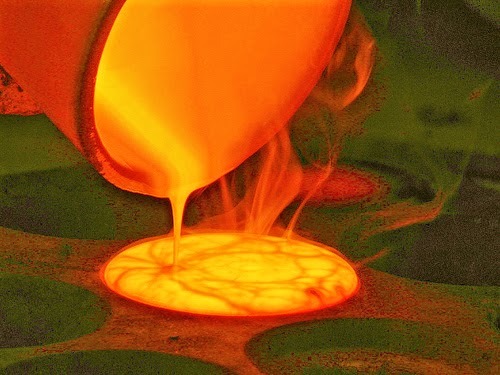 I pictured molten metal being poured into molds. Later, in college, I would hear discussions of how the "melting pot" metaphor for American identity was inadequate. We weren't actually all blended together into a homogenous, glowing mixture. We maintained our unique cultural identities but were stitched to one another into a brightly colored, multi-faceted whole. America, I was told, is a patchwork quilt. By this point in my personal experiences, I had been pushed out of the homogeneity of my hometown both physically and mentally. As an English major, I was taking classes in African American literature and reading Chicano and Native American works. I was learning about feminist theories and generally recognizing that the world was much more diverse and much less at harmony than I had previously thought. The melting pot metaphor certainly didn't fit. We don't all blend together into one harmonious substance and, furthermore, we shouldn't try! My liberal arts education had me embracing the expressions of a wide array of cultural experiences, and the patchwork quilt metaphor captures that spirit. It is the brightness and uniqueness of our own cultural heritages that make the quilt of American culture complete. That metaphor, too, has fallen flat as time has gone on. The melting pot metaphor and the patchwork quilt metaphor each represent extreme views for cultural diversity. It's easy to see why the melting pot metaphor is problematic. Even though it sounded great to me as a child (why shouldn't we all want to become one, great, strong substance working together? ), the realities of political power mean that we must all become the standard, and the standard is entrenched in privilege and prejudice. The racism, classism, sexism, ableism, and virtually every other type of -ism wrapped up in the melting pot essentially means that those with less power "melt" under the pressure of the norms around them, vanishing from the fabric of American identity. 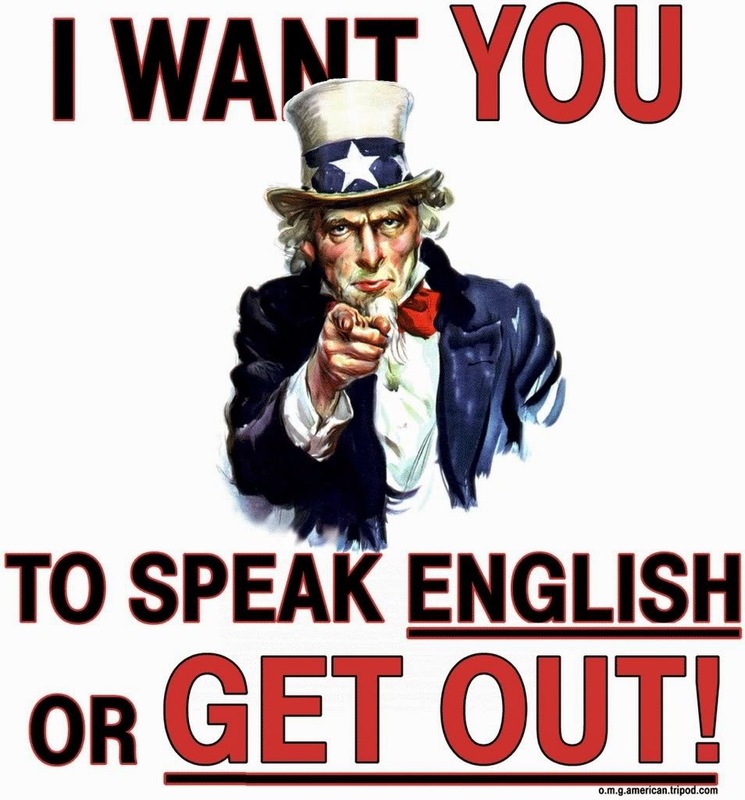 In the case of the English-only movement or the removal of minority literature courses, they are literally silenced. The melting pot aims to remove the markers of diversity and in doing so aims to erase the experiences of the people who represent it. So the patchwork quilt is the answer, right? 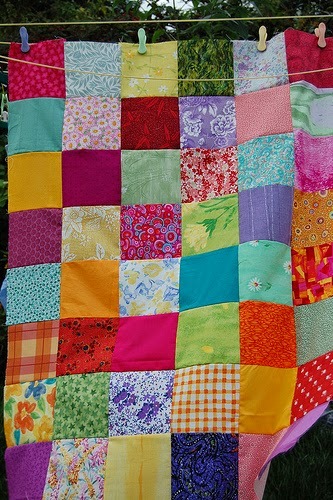 If the melting pot ignores diversity, then the patchwork quilt is the way to embrace it. By recognizing that we all inhabit our own little squares of identity, we ensure that diversity is not erased. We are each able to contribute our own experiences and voices to the mix, and those experiences are seen as equally important and valid to the overall American identity. This notion has been the driving force behind movements to preserve cultural heritage. It's why we have things like Black History Month and Native American Heritage Month. Driven by the urge to recognize, validate, and then disseminate the accomplishments and contributions of groups that are traditionally marginalized, we are pointing to the patches on the quilt. America is a diverse country built upon the sacrifice of many minority groups, often at the violent hands of those driven by the melting pot ideology. The problem with the patchwork quilt analogy is two-fold. In the first place, the patches of a quilt are not integrated. Each exists in its own separate space, connected to the others only by the stitches that bind the quilt as a whole. There are many people who inhabit multiple spheres of identity. Using Jackson's examples, what happens if you are a young, gay businessman? What happens if you are an old, lesbian Latina? We do not stay neatly in the boxes placed before us, and attempting to corral people into a single box of identity is damaging to their personal sense of self and to their ability to connect with others and thrive. The patchwork quilt metaphor fails to take into account that we do, in fact, blend. Secondly, the patchwork quilt metaphor does not address the need to mix and the responsibilities we have to one another beyond our own square of cloth. Celebrating Native American Heritage Month but refusing to address the problems facing the Native American community on a daily basis (or even removing an offensive, derogatory mascot) does little to actually address diversity; it merely pays lip service to it. From this tension, we can find a third metaphor for American identity: the salad bowl. 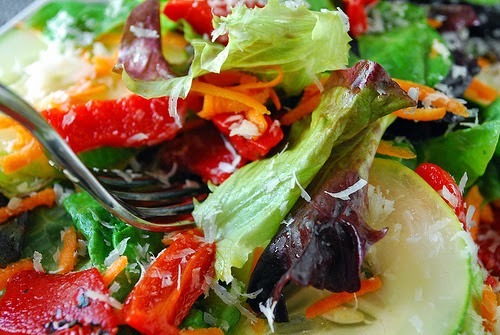 In a salad, the different ingredients are distinct and bring their own unique flavor and contribution to the whole. They are, however, coexisting. The flavors of one will impact the flavor of another. They work together or, sometimes, fail to meld in an effective way. It would seem that the salad bowl metaphor addresses many of the issues that come out of the patchwork quilt analogy, but there is still something missing. The melting pot is obviously a troubling metaphor. It ignores the diversity in American history and present American demographics. It is rife with bigotry, privilege, and cruelly-wielded power. But it gets something right that both the patchwork quilt and the salad ignore: violence. There is violence in American identity. It is a troubling, tension-filled thing to find a way to belong in a heterogeneous society. To ignore that is to ignore the very real struggles that people undergo every day as they work to find a sense of self. I was prompted to think about these metaphors when I was reading Victor Villanueva's Bootstraps, a book in which he explores his own attempts to assimilate to white expectations as a Hispanic American. Despite his efforts to embrace the melting pot, he eventually recognizes that his identity will always be that of a minority, especially in his role as a university professor. He is seen as the go-to person for "minority" issues, and his work is always read through the lens of a the "minority perspective." Out of these experiences, Villanueva suggests a new metaphor for American cultural identity: a stew. Villanueva explains that the stew metaphor “maintains the violence of the melting-pot metaphor while suggesting some of the ingredients do not lose all of their original identity, though altered, taking in the juices from the other ingredients of the pot, adding to the juices; all of us this one thing, Americans, and all of us some things else" (20). While imagining American identity as a patchwork quilt or a salad might be appealing because it suggests a sense of harmony and tolerance, it ignores the very real power structures at play when we craft our sense of self. We can't craft it alone. We are pushed and pulled by those around us as we develop a sense of self. We are melted, melded, and combined. We do not stay neatly in any one box, and we may lose some of our flavor to an overpowering majority. 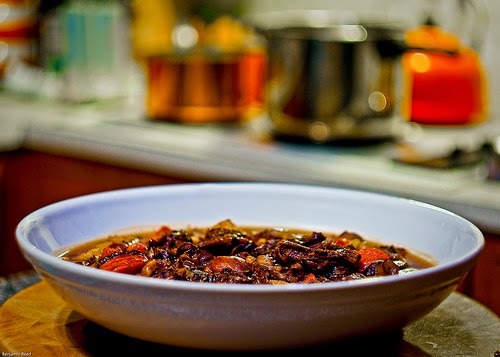 The stew metaphor captures these nuances in a way that the salad metaphor misses. When we're all cooked together, there is a violence to the stewing that cannot be ignored, and the impact that violence has on the way identities are shaped must be part of the conversation about diversity. I've been thinking about this all my life, and I'd say this is a really good consideration of the matter. The initial question (in college days) was "Should we aim for universal values/identities or celebrate our individual differences and traditions?" It seemed to be an either/or situation--and I puzzled over it--but that formulation was too simplistic. If every culture was really just the same, worthy or not, it would be pretty boring. Also, no man is an island, we contain multitudes ( see, poetry is good for something! ), and on top of that we CHANGE over time (if we learn anything), influenced by everyone and everything around us. We're a bit of a stew just by ourselves. Still, I do feel some core identity, a "self," whether or not that's just a construct. And I do still tend to look for universals (what is human/humane) within people of every ethnicity, gender, tradition, and variation of any of those things. Old ways die hard, perhaps. --Carol N.
"We're a bit of a stew just by ourselves." YES! I completely agree. I think that all of our identities involve conflict. In fact, I think it's the conflict themselves that actually creates the identity. Without the tension, we wouldn't have any way to define ourselves.